Is Huawei doing this before Samsung? Huawei has started teasing an unusual solution to the camera notch problem: a phone with a circular cutout in the display. Apparently, the Huawei Nova 4 (the company’s first phone to feature the hole-punch camera) has already been spotted in person during a live stream for the 18th birthday of Chinese singer Jackson Yee. While there isn’t much information about the Nova 4, there does seem to clearly be a camera cutout in the screen. And honestly, it doesn’t look that bad. Sure, having an omnipresent black dot in the corner of the screen might take some getting used to, but likely no more than a notch would. Huawei isn’t the only company pursuing a hole-punch camera, either: Samsung confirmed earlier this month that it was working on a similar “Infinity-O”-style display for future Galaxy phones. In either case, we likely won’t have long to wait for more information on the Nova 4. Huawei has already confirmed to The Verge that it will have more news on December 3rd. Chinese have always been forward relative to the world in terms of innovation and creation. So as Apple introduced notch with their iPhone X, it was a big risk to implement such a new solution in their biggest ever change in iPhone lineup. In this case Huawei is not taking that big risk, implementing the new so called Infinity ‘O’ display in mid range phone. We’ve seen this kind of strategy from companies like Samsung, when they made 4 camera debut in their mid ranger A9. 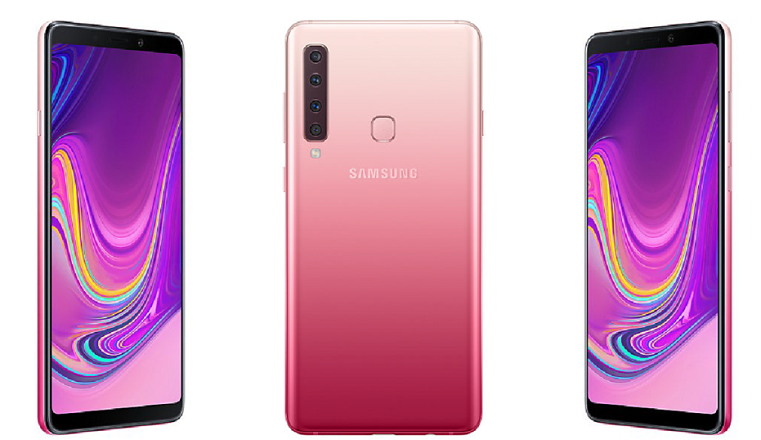 Two months earlier, there were leaks rumors that the first phone with a hole in display will be the Samsung Galaxy S10, but then in the beginning of last month, it was fairly confirmed that it’s going to be A8s. Samsung fans will be disappointed to hear that, but Nova 4 is coming earlier than A8s. One thing we all are thinking right now is, did Huawei stole this technology from Samsung? Yes, you have the right to say that. After all Samsung hasn’t officially announced anything like that yet, so it’s legal to do that. Also Read: Samsung Galaxy S10 Release Date, Price, News, Leaks etc. Furthermore, it’s a solution to notch. If we look at the previous generations of all-screen smartphone, it had a huge bezels and chins around. Then we got a smart move from a company named Xiaomi when they introduced not an all-screen phone but a big improvement named MI Mix. As it had a big chin at bottom, major brands like Apple, Samsung made an afford to make that kind phone. That’s how Apple introduced iPhone X with a strange looking thing called ‘Notch’. The idea was weird and risky, but it was a big success. As in 2018, we are having notch from most of the phone makers except Samsung. They made phones with even weirder things like curved display. But in terms of release date, latest leaks from Ice Universe says that Nova 4 is coming on 17 December and Samsung’s phone will come on 10 December. So we are thinking to have a great fight between two biggest phone makers currently on planet earth. Stay tuned with us for latest leaks and rumors. ← Samsung Galaxy S10 Release Date, Price, News, Leaks etc.